In typical Marvel fashion, Ant-Man is another entertaining, action-packed, and an extremely likeable superhero flick. 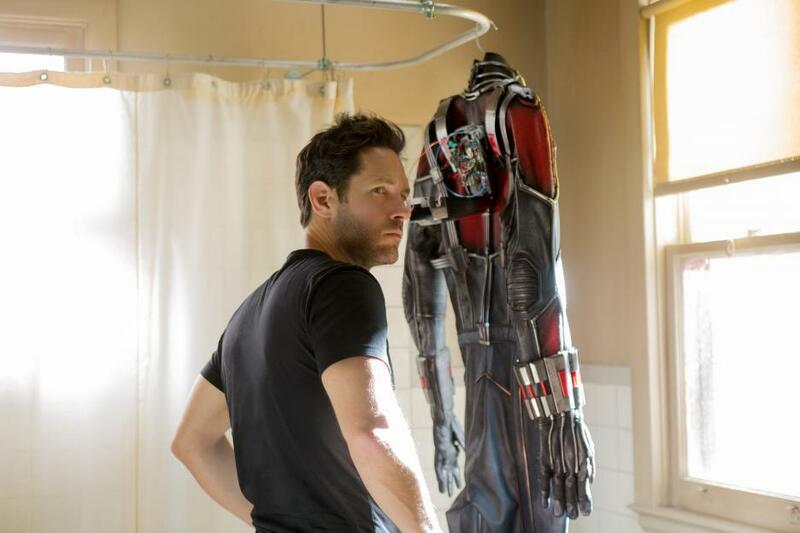 The film follows skilled thief, Scott Lang as he is recruited by the former S.H.I.E.L.D agent, Hank Pym (Michael Douglas), to take on the persona of Ant-Man. The suit allows its wearer to harness its shrinking powers, superhuman abilities, and to control and communicate with ants. Scott Lang becomes Ant-Man and he is tasked with the mission of preventing the villainous Darren Cross (Corey Stoll), from using the same shrinking technology for evil purposes. Marvel Studios’ Ant-Man is the twelfth film in their constantly expanding cinematic universe, behind Captain America: Civil War, which was released earlier this year. I would be the first to admit that there are a bit too many superhero films coming out these days, but at the same time, I am really not complaining too much about the fact either, because they are just so fun to watch. Somehow, Marvel Studios has managed to make a film about a man with shrinking powers very exciting, fun and engaging. Ant-Man presents a superhero we really haven’t seen before. As well as having no superpowers of his own, he doesn’t appear to have many other stand-out strengths, like the intelligence and technological brilliance of Tony Stark, who is only physically empowered by his Iron Man suit. Scott Lang is a complete underdog and unlike most of the other Marvel films, Ant-Man is on a much smaller scale. Although the CGI is plentiful, the stakes aren’t too high in Ant-Man. Instead of galactic battles and destroyed cities, Scott Lang goes challenges his foes in everyday locations. Of course, when he shrinks to his microscopic size, these locations become heightened and threatening. Running through cracks and blades of grass, Scott in his miniature form becomes the perfect weapon for infiltration. Ant-Man could be considered a superhero heist film, as the narrative sees Scott, Hank Pym and his daughter Hope (Evangeline Lilly), plot to break into Darren Cross’ company building, and stop him from harnessing the powers of his own shrinking suit, the Yellowjacket. These events unfold in comical and electrifying fashion, with Paul Rudd definitely stealing the show. For an actor known mostly for comedy dramas, Paul Rudd may seem like a strange choice for the lead role in a Marvel film. However, he fits perfectly into the role of Ant-Man, delivering his usual lethargic and fumbling comedy. It feels like the film was made for Rudd to fill the shoes of Ant-Man. I can’t think of any other actor who could pull off the role as well as he has. Apart from Scott’s very cliche side-kick buddies and a few cheesy moments, very little actually holds this film back. Also, Darren Cross is a very solid villain, but he is the type of villain that can only really be used once, as there is not much else that can be done with the character going forward. With lots of humour, an easy plot and a tone that doesn’t take itself seriously, Ant-Man is a nice break from the chaos of Marvel’s other grand heroes. It has a funny openness, a sort of acknowledgement of the film’s silliness, as we are dealing with shrinking suits and armies of insects, after all. Ant-Man is the most comically-driven Marvel film yet and it works on every level.